Those who can, do; Those who can teach, do wonders. As the third in the series of suggestions and advice, particularly to the newer generations of EMS staff, I'd like to focus just a little on the idea of teaching. Personally, I woke up to it a little bit late. I'd always put the training department at the back of my mind as a possible fall-back option for when my time on the road had taken too much of a toll on my back. Planning ahead, I knew I could always rely on experience to teach newer generations of paramedics. But at the start of the career, that fall-back seemed a long way off. After a few years, the system changed drastically and meant that students were spending a great deal more time out on the road with experienced staff. This meant that there were now more opportunities to stay on the road and teach at the same time. I jumped at the chance, but no one jumped in the same direction, allegedly because none of the students liked the idea of working only nights. Eventually, one mug fool student picked up the gauntlet and gave it a go. Others followed. The thing I discovered instantly, was that in order to teach, I needed to be a lot more alert to every single thing I did. The questions could fly thick and fast. What did you just do? How did you do that? And the scariest of the lot: Why did you just do that? The questions weren't being asked to test me, but it sure felt like it sometimes. My skills had to be razor sharp, as did my knowledge. Most of all, I spent a great deal of time learning as well as teaching. Never being afraid to admit that I don't always have the answers was part of the deal. I held a diary in my uniform pocket at all times. At the back, were two sets of notes. One set was a list of calls, brief notes and mini-reminders of people and cases I met that I would then write about. The other set had a title at the top of the page: Homework. My homework, not what I set for my student. When an answer to one of their questions included the phrase I don't know, it was time for another line on the homework page. There was also another strand of teaching. Teaching friends, relatives, even the general public. Teaching about the ambulance service itself, teaching the basics of first aid, teaching the skills that could one day make the difference between life and death. Even simpler - teaching when and why to call an ambulance. Teaching is all about knowledge. It's about having the skills to take that knowledge and impart it to others. It's about having the courage and the awareness to know that you can never know it all. It's about constantly making the effort to bridge those gaps that are missing. 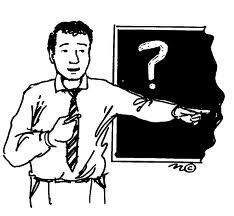 The thing I discovered about teaching is that it is easily the best learning tool out there. So go teach. Find something you're good at and teach it to someone. Or, alternatively, find something that you're not so good at, study it enough so that you'll know that if anyone asks, you can teach that too. Those that can't do, teach? Pah. Those who can teach, do wonders. 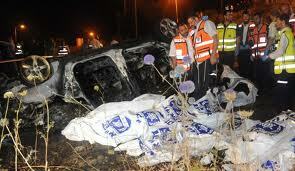 This overnight story from northern Israel is nothing short of horrendous and heartbreaking. Eight members of the same family, parents and six of their children killed in a car accident. A seventh child, a seven-year-old girl, survived after she was thrown clear of the car as it rolled down an embankment before bursting into flames. I've read the story and some of the pseudo-analysis now on several websites, both in English and Hebrew. The thing that has stuck in my throat the most are the "talkbackists", the nickname given to those who comment on news websites, who have commented on the fact that the one person to have survived this awful tragedy, probably did so because she was not wearing a seat belt. The warped logic that flowed was that in order to save lives, the government, the police and whichever other authorities are involved should mind their own business and let people decide for themselves whether to wear seat belts or not. It may well be true. It may be that in this one horrendous incident a life was saved by not wearing a seat belt. I don't know, nor do I think it should make a difference. I do know that being thrown from a moving vehicle is just as likely to kill, if not more so. Twenty or thirty years ago, as the idea of everyone in a vehicle wearing a seat belt was starting to take hold, there were plenty who mocked it. There were cries of government sticking their noses where they weren't wanted, cries of the trampling of freedom of choice, cries that as it was once good enough to drive around without, it should continue to still be allowed. Times change, technology changes and we must change and adapt with them. Seat belts in the modern car are designed as part of a package of safety features. Crumple zones, airbags, seat belts and a multitude of other features - all work in conjunction to save the lives of the occupants in the case of an accident - and they do work. To claim that this case proves otherwise is nothing short of misleading gobbledygook, or, to avoid putting too fine a point on it, a lie. This case, whilst tragic, proves nothing. The only facts we have are that eight people have died, adults, youths, children. The vehicle involved was carrying nine passengers, undoubtedly more than it should have been and possibly being a contributory factor to the initial assessment of brake failure and excessive speed for the road. One child survived. Perhaps she wasn't wearing a seat belt. I'd hazard a guess that more than one person in that vehicle was equally unrestrained. As more facts come to light, we may yet find out that she managed to crawl out, rather than being thrown from the car, further disproving the ridiculous arguments. A case such as this is so rare as to be statistically insignificant in the argument for or against seat belts. Seat belts save lives. Fact. More often than not, it's stupidity that kills. I remember when the calls were manually dispatched, each call either rolling off a printer followed by a phone call to confirm which crew was going, or given out over the radio requiring details to be taken with pen and paper. I remember when the only radios we had were vehicle based, no personal radios at all. I remember when vehicles weren't tracked, the all-seeing eye up in control flying blind as a bat and relying on the good will and honesty of the crews. I remember when you could guarantee that Wednesdays would be the quietest day of the week. To this day I have no idea why. I remember when pushing the accelerator pedal on the old ambulances used to make a hell of a lot of noise, but the speed remained exactly the same. I remember when the GPS, or sat-nav, or Doris, or whatever else you want to call your guidance system was nothing but a hardcover book called the London A-Z. Ten years later, calls are dispatched to a computer screen, each member of a crew has a personal radio on shift and every vehicle is followed to within an inch of the crew's life. There's no such thing as a quietest day any more. Pushing the noise pedal still makes noise, but there's a little bit of improvement in the speed, and now, the GPS is a GPS. Having started when no such thing existed, on ambulances at least, it meant that learning the streets, or at least the general area, was a necessity. Around where I worked it was fairly simple, almost grid like. An area surrounded by four main roads, with another two criss-crossing the centre. However, as the times changed and technology controlled the ambulances more than the humans did, we started to be dispatched further and further afield. In an area the size of London, with it's thousands of miles of streets, hundreds of train, tube and bus stations and almost ten million residents, local knowledge had to spread a little. Eventually, the sat-nav came in and made that job a little easier, but local knowledge was still local knowledge. Today, however, the newer generation of EMS staff in London rely on Doris from the start. It means that as soon as a call is dispatched, rather than heading in the right direction, there's a need to wait for the technology to kick in, pick a route and suggest turning either right or left out of the station. 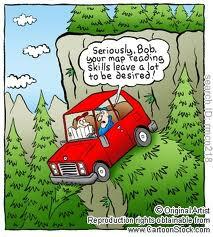 The skill of map-reading seems almost lost forever. Maybe it's because I learnt to read a map early on. Maybe it's because I don't trust technology. Maybe it's because I'm just awkward like that - but if I'm going to rely on the GPS, I'll check the map first, just to give me an idea. Having that vague idea without having to open a map book is all the better. Doris has a habit of not being up to date with new roads, or changes to one-way streets, or even trying to send you to the wrong Station Road. Do you have any idea how many Station Roads there are in London? Me neither, and not for lack of trying. My advice, particularly to the new people? Stop relying on Doris. She has her faults. I dare not say anything about asking for directions from a woman at this point. One of these days Doris will fail - either the screen won't work, the roads she's sending you down have been closed, or she's just having one of those days where she seems to be three streets across from where you know you are, and you most certainly know that you aren't driving through that reservoir or along those railway tracks. Learn your area - learn the important points - the places that give you your navigating markers, your wayfarers stars. Learn that from your favourite coffee shop to your favourite take away is a rat-run of streets where you'll do fifty percent of your calls. Travel and take notes, be they written notes or mental ones. If you get some down time as you leave the hospital, go for a tour of the area. And for the sake of all that is holy, learn to read a map. Having left the LAS for pastures new, I thought I'd look back on various aspects of a decade on the front line in London and suggest ideas or share various experiences for both the old and new crew staff out there as well as give the outsiders an insight into different aspects of ambulance life. This is hopefully the first of a series. Six months wasn’t enough – it was really just the beginning, but it was all I had and I hope I made the most of it. 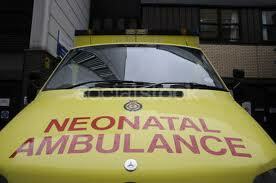 My time at the Neonatal Transfer Service, or the Baby Emergency Transfer Service (BETS as it’s affectionately known in the LAS), was easily one of my most enjoyable and rewarding periods in my time as a paramedic in London. It may well have been time away from the front line of A&E work, but there were so many benefits that I took back with me when I headed back to the streets. It’s true. Normal Paramedic skills on BETS take something of a back seat for a while. However, the time spent learning new skills and gaining new knowledge was totally invaluable. These new skills weren’t just useful for the duration of my time on BETS – they were useful for the years that followed. Dealing with premature babies, as well as full term but critically ill ones, alongside a team of dedicated, knowledgeable medical staff was not only inspiring, but educational too. Each case was reviewed and followed up, mistakes corrected, and positive action praised. The knowledge that any new skill was taught and supervised by a senior nurse or doctor gave rise to a new level of confidence in dealing with what many, if not most front line paramedics deem as the nightmare scenario. Sick children, particularly babies, are notoriously frightening for most paramedics – not least of which because of the lack of exposure and training we have in that field. In my six months on BETS I had the opportunity to learn to cannulate the smallest of veins in the most difficult of patients and the chance to intubate the most delicate of patients. These are skills that came in useful on more than one occasion in the years that followed – just by building my confidence and skill enough to know that if I could perform these skills on the tiniest of patients – that back out on the front line, toddlers, children or even difficult adults with the same needs would prove so much less daunting. I learned about the anatomy of the newborn by learning how to do baby checks, learned what signs to look for in a child that may be ill and how to distinguish them from a critically ill child. I learned how resuscitating a baby is both heart-breaking yet fulfilling at the same time, and more importantly how vital it is that when doing so, keeping a level head and not just rushing the treatment gives that baby the best chances of survival. Suddenly, blood gases had relevance too, and with that relevance came understanding. You can’t ask a baby what’s wrong – and you can’t ask a ventilator why it isn’t doing what it should be. An understanding of gases helps solve both of those mysteries, whilst an understanding of ventilators and ventilated patients would help on many a critical transfer in the following years. I learned about the effects that transport has on our patients, whether they are old or young. The benefits of a smooth drive were never more important than when dealing with a patient who had the blood volume of less than a bottle of calpol, but once again it reinforced and improved my driving skills and heightened my awareness. I can’t recommend a period of time on BETS enough. I can only begin to express in words what it did for my confidence, for my skill levels and for my knowledge base. Any student who has ever asked about secondments, about extending skills and knowledge, or about career pathways in the LAS, has always had the same answer. Go spend six months, at least, on BETS. If you want to read about just one of my experiences there - click here for the story on the Baby Bus, and don't forget to click the link at the end for part two of the story. 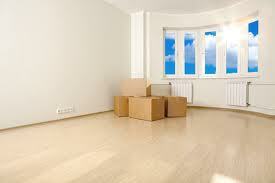 The lounge echoes, the bare walls bounce back every sound, with no furniture to soak up at least some of the noise. The plastic chairs and table carry out their duties effectively, but they sure aren't the normal dining room table and chairs. The mobile phones have been good for catching up on snippets of emails or news. Thanks for sticking with me as the world around me changes. Normality (whatever that may be), will be restored very soon.